Today, for Friday Pretties, I am calling this "The Beauty of Ordinary Things". 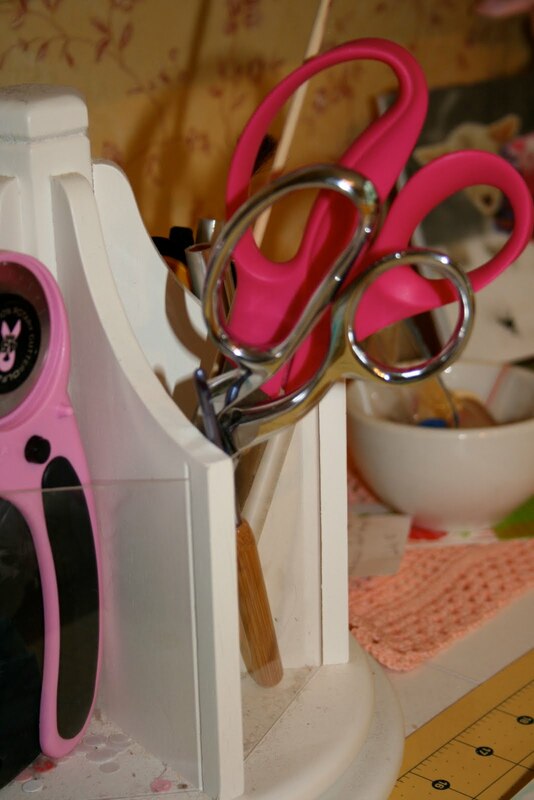 I love being in my sewing room and tried to capture the beauty of the things I see and use. When you look through your camera lens you often can see an object quite differently and I challenge you to do the same. It's fun! This iron is pink, surprisingly enough! Quilt binding in "Hunky Dory"
I want to unroll it, but I just can't, too pretty! I wonder how many times my hands have held these items? For more Friday Pretties, visit Joyce at I Love Pretty Little Things! I know the feeling you have about opening it up! sweet pics! 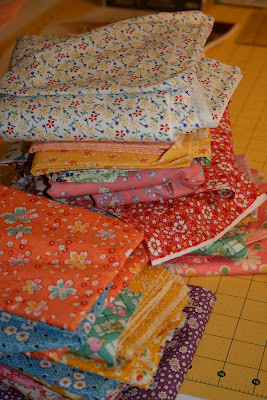 i love that aunt gracie fabric! stop by, i'm having a little give-away. Some of my favorite pretties!!! 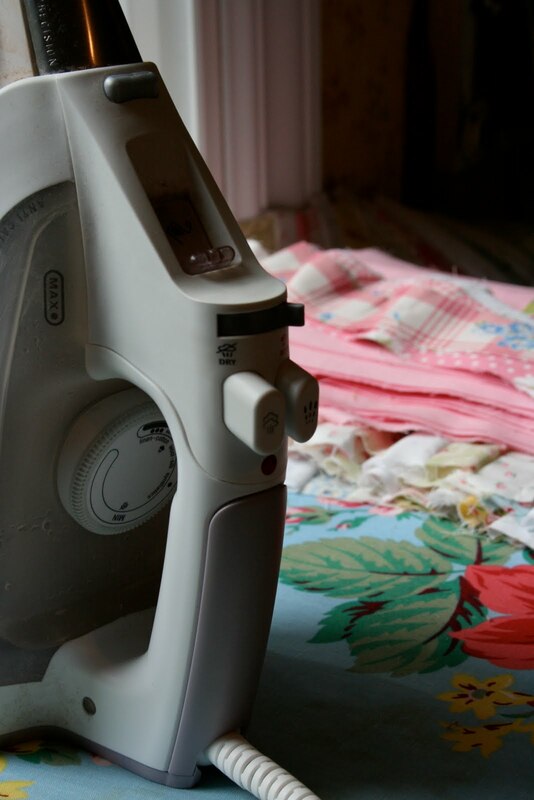 Thanks for the peek at your sewing room through your camera. What a beautiful apron! Hope you have a wonderful Friday! I Love everyday, "ordinary" pretties. It is so much fun to just walk through a home and see the beautilul and simple things that make a house and home. Thanks for playing again- Always a treat! Very Pretty! I love how you captured all those pretties! That quilt looks adorable! 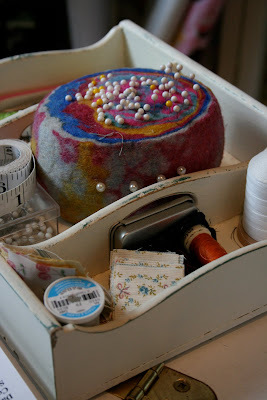 Wow, do I wish I could sew like that! Oh my, my hands started to itch very bad when looking at all your eye candy, Renee. 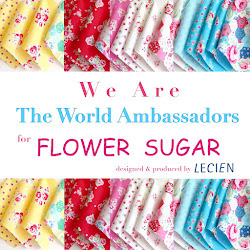 What sweet soft colored fabrics, what lovely things to get started with, right away. 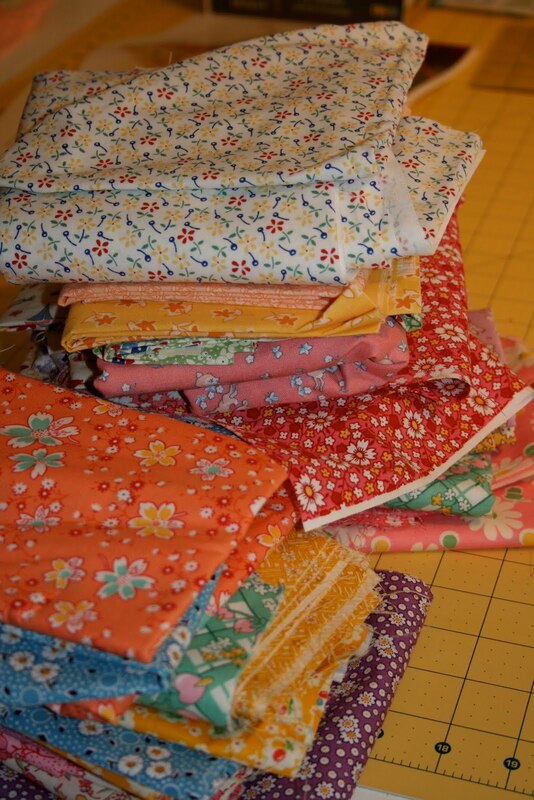 I love the Aunt Grace line of fabrics because they really look like vintage feed sacks. I can't wait to see your WIP when it is finished. So cute!